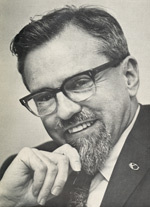 Dr. J. Allen Hynek, astronomer and consultant to the U.S. Air Force regarding UFOs. 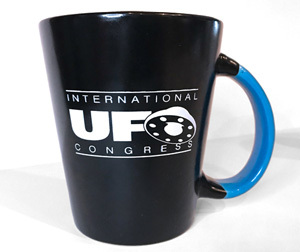 It was just about a year after J.Allen Hynek had passed away and I was serving as the Director of Special Investigations for his namesake, the J. Allen Hynek Center for UFO Studies (CUFOS) in Chicago, Illinois. I also served on the board of directors at that time. It was seven years since the book The Roswell Incident had sparked a fair degree of interest on the American UFO scene and I, for one, was not impressed. In fact, I would not even acquire a copy of the book for another year. Nonetheless, many throughout the UFO community were taking the case seriously. The very notion that the U.S. government had in their possession the actual remains of a crashed flying saucer was within the scope of possibilities for many of my colleagues. The problem for me was that I just could not conceive that an event of such magnitude could be kept a secret for all those years. As a result, I was very dismissive of such a fairytale. Little did I know that my entire life was about to be completely engrossed by the very subject. 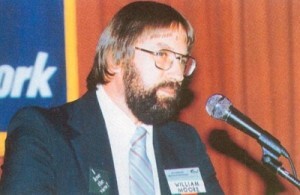 William Leonard Moore was a most prominent ufologist during the late 1970s up until the end of the 1980s. Somehow, for which remains a mystery to this day, he either stumbled upon or orchestrated, one of the most controversial topics both in and outside of the subject of UFOs. To some, he remains an enigma, both misunderstood and willing participant. To others, his name and actions are considered “Judas-like” in their implications. Therefore, we will examine how a high school teacher found himself engulfed in the middle of either an early attempt at disclosure or a multi-tiered game of disinformation possibly intended to take down the entire UFO community. From 1966 through 1978, he taught French and Russian in Pennsylvania public schools. It is interesting to note that given his second language was Russian, that has suggested he would become a primary candidate for American espionage. In 1979, Moore moved to Minnesota where he took on a new profession of teaching drama and English at a high school outside of the Minneapolis/St. Paul area. Before teaching, he was primarily employed as a union arbitrator and mediator. In any event, he was most proficient with his language skills and was destined to become a writer and lecturer. Among other interests, he had also been into the subject of UFOs and had investigated a number of minor reports for the National Investigations Committee on Aerial Phenomena (NICAP) of Washington, D.C. during the 1960s. It came as no surprise that with his background, he would eventually write a book on the topic. However, his first attempt was not quite on target. Hardly related to the subject of UFOs, in 1979, Moore co-authored The Philadelphia Experiment with world famous linguist Charles Berlitz. The book recounted the alleged 1943 U.S. Navy cloaking experiment of the USS Eldridge at the Philadelphia Naval Yard. Based on pure hearsay and no eyewitness testimony, the tale of the ship disappearing from its dock and reappearing off Norfolk, Virginia, has become the fodder of pure fantasy believers. It was while publicizing his first book that Moore renewed an acquaintance he had with Stanton Friedman while he was lecturing in Minnesota. As it turned out, they both shared a number of witnesses related to the Roswell incident of 1947. Moore tracked down original newspaper accounts about the case and by mid-1979; the two researchers were discussing a book on the forgotten event. However, there was one glitch. 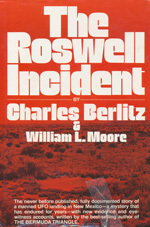 Moore’s original publisher, Grosset and Dunlap insisted that as in the previous book, Berlitz would again write the final draft. Friedman and Moore would provide all of their investigative notes and send them off the much more popular author in New York. Frankly, Friedman conducted most of the interviews with potential witnesses, and received only a mention in the acknowledgements when the book was released in 1980. To limited fanfare, The Roswell Incident received mixed reviews from the critics, but did bring the case once again to the forefront of UFOlore. Others, like me, had a most difficult time accepting the very premise of the book. Just as Moore’s previous writing, this book read in many ways like the pages of a checkout stand tabloid. Years later, Moore himself regaled the book as a “disgraceful hodgepodge of fact and fiction.” He would deny writing any part of it. This would become quite evident in the update papers that he would present over the next few years. Conversely, they were demonstrative of Moore’s keen eye and prowess as an investigator; his reports not only presented the Roswell case as factual, but also appeared to harden his determination to solve the occurrence. Alternatively, so it appeared in the first five years of his investigation of the New Mexican mystery. 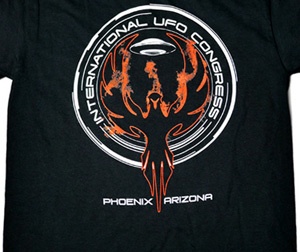 The late Paul Benowitz was an investigator with the Aerial Phenomena Research Organization (APRO) of Tucson, Arizona. A most controversial figure, Bennewitz was of the belief that there was a serious plot involving an extensive network of underground UFO bases connected to an alien colonization and control scheme to subjugate the human race. He also claimed to have uncovered evidence of aliens controlling people using electronic devices, and furthermore, claimed UFOs were frequently observed near Kirtland Air Force Base in Albuquerque, which was connected to secret tunnels into the mountains of nearby Manzano Nuclear Weapons Storage Facility and Coyote Test Range. How did Bennewitz come to suspect all this? He was convinced he was intercepting electronic communications originating from a secret underground UFO facility located outside of the town of Dulce, New Mexico. Unable to contain himself, Bennewitz proceeded to sound the alert openly, much to the consternation of officials at APRO. Moore just happened to sit on the group’s board of directors during this episode and they immediately labeled the bizarre claims as delusional and paranoid. However, unknown to Bennewitz, Moore and his ‘new friends’ outside of the UFO community, plotted to not only discredit him, but psychologically destroy him. On December 29 and 30 of 1981, Moore would meet for the first time with the anonymous caller as mentioned previously in this article. The meetings took place at a restaurant in Albuquerque with one Sgt. 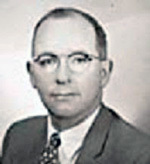 Richard C. Doty, then stationed at Kirtland AFB. Doty would claim he was a special investigator with the Air Force Office of Scientific Information (AFOSI) and displayed three documents – one being the fraudulent ‘Aquarius Teletype.’ The stage was being set to slowly but surely, provide the UFO community with either the document proof it had sought since 1947, or the most elaborate hoax ever perpetrated on the subject. The first thing that the two agreed to was to finish the discrediting of Paul Bennewitz. It would appear that this ‘whistleblower’ was becoming more dangerous to himself and hardly needed to be pushed over the edge. Still, that is precisely what Moore and Doty did. Moore started to feed him pure misinformation on the subject with the full intent he would repeat such nonsense publicly. He would. Next, they started playing mind games with their victim. For example, Moore personally described to me how they would go to Bennewitz’s home on occasions and slowly move the furniture around. 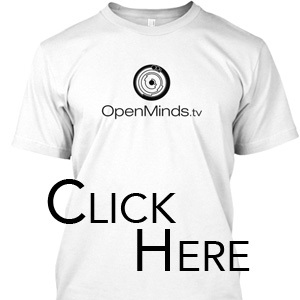 When ones concept of their immediate environment begins to change, we start to lose touch with reality. Sadly, it all had a most negative impact on both the physical and physiological health of Bennewitz. During that time, he was committed three times to a mental health facility and treated for severe delusional paranoia. The question still remains, was Paul Bennewitz becoming dangerous for someone else? We will address that question later. In June of 1982, Moore teamed up with television producer Jaime Shandera after moving to Burbank, California. 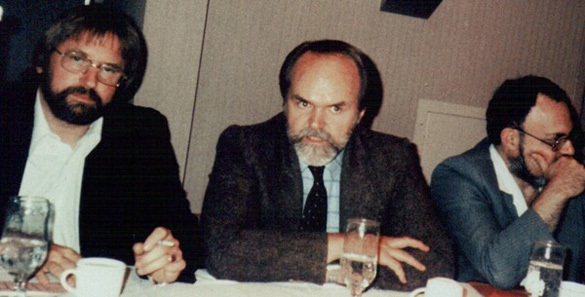 Along with Friedman, they had worked together in 1980 on a UFO documentary. Together, they would have clandestine meetings with a growing number of shadow characters who would become known as the “Aviary.” A majority of these contacts were actually figures within the UFO community. Two others were Doty and another enlisted man at Kirtland Robert Collins, who were dubbed ‘Falcon’ and ‘Condor’ presumably by Shandera. Whether to add to the intrigue or just to maintain a level of anonymity, others were named ‘Sparrow,’ ‘Blue Jay,’ and ‘Hawk.’ Throughout the 1980s, more birds would join the fold totaling twelve, each one promoting a special insight into UFO intelligence and a staged attempt at slowly releasing the truth to the public. On the other hand, so Moore and Shandera were telling us. The grand scheme was about to commence. Shandera, who was virtually unknown in UFO circles, received a 35 mm black and white roll of film in plain brown paper wrapped envelope on December 11, 1984. There was no return address, except that it was postmarked in Albuquerque. As though the delivery was anticipated, he immediately called Moore and they had the film processed. 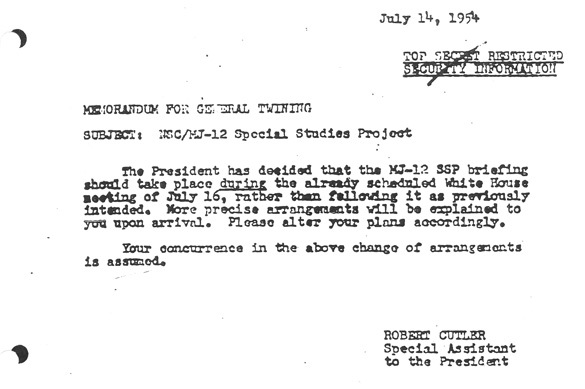 The developed film contained two documents, the more important being the seven-page Eisenhower Briefing Document, which has since been referred to the “MJ-12” documents. Moore and Shandera would next make a trip to the National Archives in Washington, D.C. and on a tip in the form of a postcard, would go to a specifically numbered box of documents and claim to discover a carbon copy of a memo from Robert Cutler (Special Assistant to President Eisenhower) which mentioned the existence of MJ-12. Allegedly, they would spend the next two years meeting with other members of the aviary while doing all they could to substantiate the documents. This is what Jerry Clark was calling me about in February 1987. 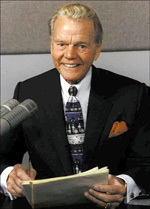 Moreover, with an assurance that everything “looked good,” I contacted Paul Harvey to break the story. Thankfully, Mr. Harvey was much more reserved and needed more than copies of documents on film where no pedigree could be established. Still, he was willing to broadcast a request that anyone who could verify the documents should contact him and maintain confidentiality. The offer was made to his national audience of tens of millions of listeners. 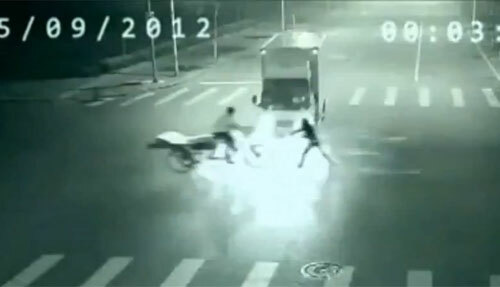 Now, all we could do was try to protect ourselves at CUFOS and investigate the situation ourselves. I was assigned to represent the organization and extend a helping hand of cooperation to Moore, Shandera, and Friedman with the hope of proving the documents as genuine or fakes. However, Shandera was the unknown in this entire affair. 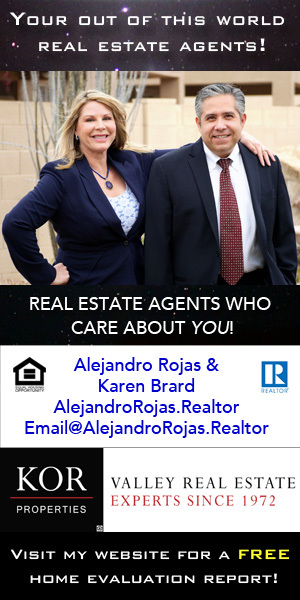 He would be my contact. Over the next couple of weeks, we spoke over the phone for no less than ten hours. In addition, after each conversation, I would report to my scientific director, Dr. Mark Rodeghier. The one element that Shandera emphasized repeatedly was that they were promised a “truck-load” of additional documents. UFO believers were about to have all of their dreams come true. Shandera would end each conversation with a remark made specifically by either Falcon or Condor as though they were calling all the shots. I believe he also wanted CUFOS to think this was a rapidly developing story and there was little time for substantiation. In the same token of urgency, it was immediately requested that I arrange for either Moore or Shandera to meet with Paul Harvey in Chicago. That was my one mistake and it would cost me any further association with such a prominent figure in the media. Harvey had agreed to meet with Shandera, mainly for the fact that no whistleblowers had stepped forward to endorse the MJ-12 papers. He felt a meeting with the recipient might advance the process before presenting his findings in a closing newscast. To say that Shandera was a disappointment would be an understatement. He traveled to Chicago and met with the legendary reporter in a leather motorcycle jacket, t-shirt, blue jeans, and cowboy boots. Nevertheless, what truly upset Harvey, was Shandera’s claim that according to his “inside sources,” organized religion, specifically Christianity, was concocted by the aliens. Harvey, a deeply religious man, was personally offended and was close to calling security to have this “charlatan” removed from his office. I had never met Shandera, took the word of my associates, and it cost me my association with Paul Harvey. For the very fact neither Moore, Shandera, Friedman, nor anyone else for that matter were able to provide any substantiation, for the documents, Paul Harvey’s “rest of the story” on MJ-12 and UFOs in general was less than tepid. We all had lost a major ally within the American press – and I could only blame myself. Now it was my turn. I was heading to California to meet the two people who were still claiming the proof was right around the corner. Over the course of the next two years, I would meet in Los Angeles at the home of Shandera. I would meet privately with Moore and Shandera during other visits. At this stage they were both aware we were investigating more than their personal claims – we were now investigating them. The questions grew beyond the authenticity of the MJ-12 documents and the supporting papers. We now focused on who could have created, “forged” such documents and for whose benefit. Through years of follow-up investigation, we have arrived at specific conclusions. 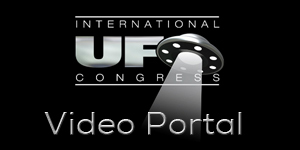 On October 14, 1988, a two-hour TV special called UFO Cover-Up Live! was broadcasted simultaneously to both the United States and oddly enough, the USSR. This connection will make more sense at the close of this article. Hosted by actor Mike Farrell of the MASH TV series, the program originated from Washington, D.C. 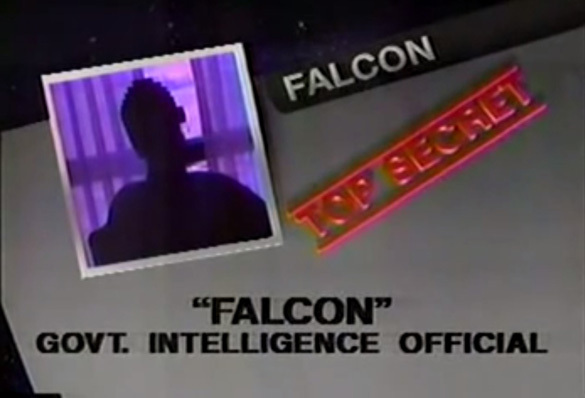 This would become the highly promoted Moore and Shandera introduction of two of the mysterious Aviary, “Falcon” and “Condor.” The two inside shadow figures were presented as U.S. Intelligence agents but were electronically disguised so they were only seen in silhouette and their voices were altered. Among some of the unbelievable claims the two “agents” made were that America was hosting alien visitors who liked strawberry ice cream and ancient Tibetan music. In reality, the two inside sources were none other than Doty and Robert Collins continuing their disinformation campaign. It attracted a huge audience but unfortunately, legitimate witnesses to legitimate UFO cases were left waiting, uncalled in their motel rooms, while Moore and Shandera exploited their own brand of disinformation. 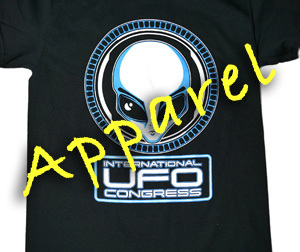 An opportunity that has left a bad taste in the mouth of ufology for all these years. “Falcon” on UFO Cover-Up Live! 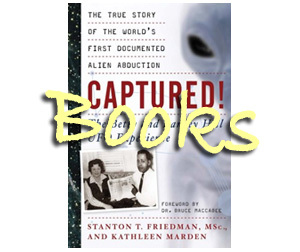 Friedman would continue to champion the MJ-12 documents even though most within the American UFO community dismissed them as just elaborate hoaxes. All through the first half of 1989, while his research partner Friedman performed due diligence, Moore and Shandera ducked all the slings and arrows by maintaining a low profile. Something was about to break and many expected delivery of all that was promised over the past two years. However, even Friedman appeared to be in the dark…or he too realized it was all about to fall apart. 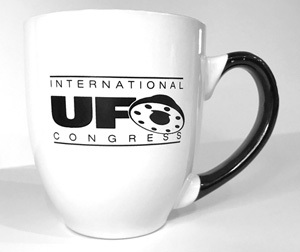 On July 1 and 2, 1989 Las Vegas, Nevada hosted the annual Mutual UFO Network (MUFON) symposium. The keynote speaker for Saturday evening had yet to arrive at the Sands Casino Hotel for the conference. It had been previously arranged that he would stay elsewhere. His presentation was slated for an hour and a half…it would go on for two hours. There were no questions and answers to follow…the speaker would exit immediately through a rear door to avoid any confrontation. 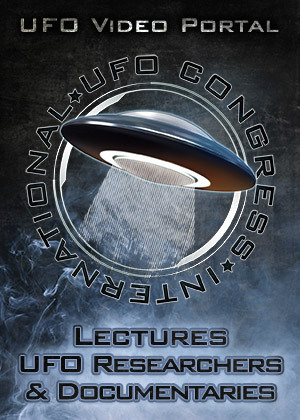 There were outcries of derision and threatening remarks throughout the lecture, which caused MUFON Nevada State Director John Lear, to call repeatedly for order. 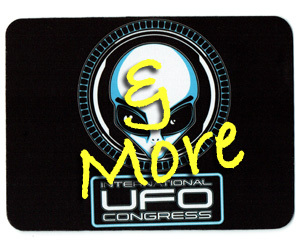 William L. Moore was giving his “swan song” to his colleagues within the field of ufology. Moore would confess to the assembled crowd that they had been “…had by elements of United States counterintelligence.” The audience’s reaction was that they had been “had” by Moore. Friedman acted as though he was flabbergasted and just as shocked as was everyone else in the banquet room. He had only talked over the phone with Moore just before the introduction to his speech. 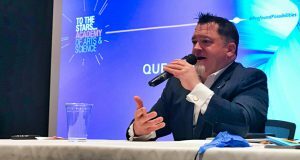 Moore had agreed to meet with both of us at another location following what has become the most controversial presentation ever given to a UFO assembly. It was sad in many ways to watch someone publicly destroy himself. Sadder, still, that Moore later declined our planned meeting. If not a government agent as some had suspected, he was used to spy and discredit his colleagues, and more importantly, spread disinformation about UFOs to the American media. He had no new documents to prove or substantiate all the empty promises he had made to not only Paul Harvey and me, but also to all of his friends and colleagues. Moore had sold his soul to the devil, a devil that he, Doty, and Shandera had created for exploitation, profit, and their own bemusement at pulling off such an elaborate hoax on the entire UFO community. He now claims that he believes that “Falcon” was the late high-ranking CIA official Henry Rositzke. Rositzke worked 25 years for the agency and was a director of operations. After retiring, he authored The CIA’s Secret Operations: Espionage, Counterespionage, and Covert Actions, along with The KGB: The Eyes of Russia. Rositzke was a Soviet Intelligence specialist and personally considered the KGB the world’s best intelligence operation. 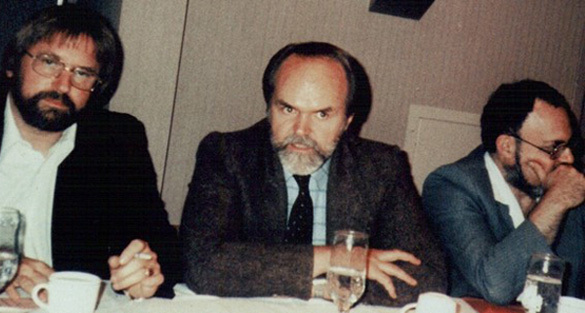 Moore would assert that upon the agent’s retirement, he also claimed to represent a group of government insiders who wanted UFO disclosure. Moore would never meet with Rositzke who passed away in 2002, but long inferred that he had spoken with the former CIA official who also spoke fluent Russian as did Moore. Originally from Brooklyn, New York, Rositzke spoke with a heavy Brooklyn accent throughout his life so it now would appear odd that according to Moore, Doty, who has an American southern accent, took on the role of “Falcon” to protect the true identity of the real one. To date, there exists no evidence that beyond Moore, Shandera, Doty, and Collins, there was anyone else even remotely associated such as Rositzke. Even the very “core” elements of their UFO story was nothing beyond what others had already promoted; That extraterrestrials have been visiting the earth, there was a crash recovery in New Mexico with one survivor, and that the government was having a lot of trouble back-engineering the advanced technology – nothing earth-shaking here. Another possibility for motive comes to mind when one ties in Moore’s knowledge of the Russian language and his claims of noted CIA agent Rositzke. When one discovers that Paul Bennewitz had befriended a Soviet scientist and started to secretly correspond with him, this would have soon made him a target for KGB counter intelligence. Did Moore become aware of this and fancied himself to become a “spy for a day.” Were there visions of taking credit for the apprehension of a Soviet spy? Keep in mind that Moore studied Russia about the same time he took interest in the subject of UFOs. William Moore had once confided to close friend Jerry Clark, that he fully expected “Roswell to make him a million dollars.” One thing remains abundantly clear, there is no evidence that Moore ever was paid for his alleged services as any intelligence agent would have been. In spite of dreams of fame and financial gain, William L. Moore now leads a life of a recluse and continues to work modest jobs such as a public school custodian. Handsomely rewarded for services rendered he certainly was not. Or was it because he failed in his participation in some form of conspiracy to fool the public with phony UFO documents? If so, the powers that be underestimated us…as most did not fall for this ruse. The late Paul Harvey was correct. We continue our own research wiser for the experience and forever vigilant of the next “stranger bearing gifts.” For that life lesson, unlike most of my colleagues, I will thank Bill Moore – which is more than his “Aviary” ever did. 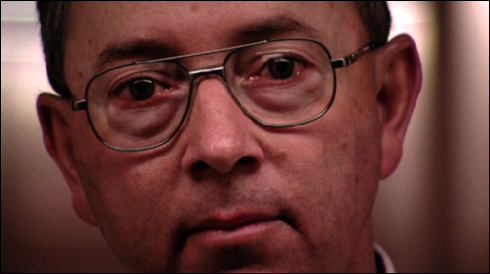 Don Schmitt is the former co-director of the J. Allen Hynek Center for UFO Studies, where he served as Director of Special Investigations for ten years. Prior to that, he was a special investigator for the late Dr. J. Allen Hynek and the art director for the International UFO Reporter. 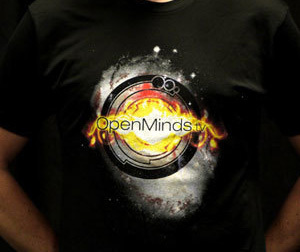 Schmitt is the author of dozens of articles about UFOs, as well as the co-author of two best-selling books, UFO CRASH AT ROSWELL, Avon 1991, best-selling Witness to Roswell, New Page, NJ, 2007, and The Truth About the UFO Crash at Roswell, published by M. Evans, 1994. Good article, although I think it would bare mentioning Greg Bihop’s Project Beta, which is still is THE BEST account of the whole Bennewitz affair, aside from the fact that Greg was instrumental in uncovering the (alleged) identity of ‘the Falcon’. BTW In Project Beta Greg wrote that Moore did meet with Falcon in person at least a couple of times. I read Don Schitts book Inside the Real Area-51 and it reminds me alot of this article. Factual errors galore. 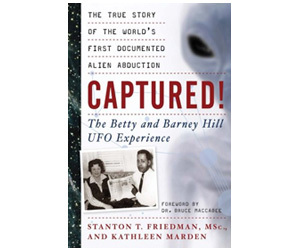 I would encourage Don to read the latest UFO books. 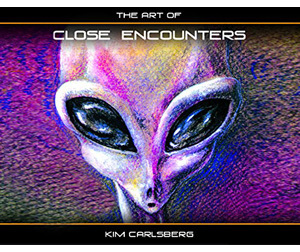 Including,Finding the UFO Crash on the Plains of San Augustin by Art Campbell. The Ramseys book on Aztec. Alien Viruses, Kennedys Last Stand and finally Chris Lambright. I like Inside the Real Area-51 but Don could sound more knowledgable with a reading of current UFO books. Also check out Noe Torres article from this year on the El Indio crash. 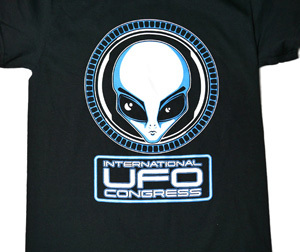 According to the late William “Bill” Cooper, he himself had personally while in military intelligence taken part of documents discussing the “Majestic 12” phenomenon in terms of being a carefully concocted governmental disinformation scheme, initiated should the public ever get to close to the truth of the UFO phenomenon. According to Copper, Moore was one of the key individuals mentioned in the document as having a crucial role in its implementation. I want to address your title of this article. You have benefitted from Roswell probably more than Moore ever did, I would say that makes you a UFO Opportunist. I have read Alien Viruses and know that MJ is real. You admitted at the beginning of this article you did not read The Roswell Incident until 7 years later. You stated on page 42 of your book, The Discredited Aztec Incident. You must have failed to read The Ramseys excellent 2011 book. That would make you a disinformation person. I believe Stanton, that MJ is real. You are a known proven liar about your employment. 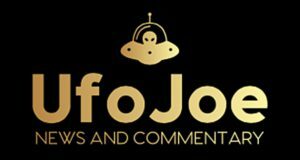 Keep up to date on UFOs and you would not have written this article. Otherwise thank you Don for your article. I was there and sitting close to the stage in Las Vegas as Bill Moore delivered that presentation. At the conclusion he said that he would not take questions, but had anticipated what some of them might be. He read a series of questions that he had anticipated and then gave his response to each question. At the end of the “questions and answers” he abruptly left the stage and exited via a door behind the stage. To this day, my sense of Bill is that he may have been blackmailed or threatened with exposure by the agents he had been meeting with, and that MUFON presentation was the way he choose to take the threat away by disclosing his own involvement. The one person who could clear this up is Bill. His silence since that day in Las Vegas may speak volumes. Outstanding article! 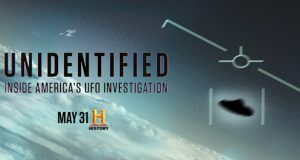 It seems to me that the one entity that would stand to benefit from the embarrassment this false info would have on the UFO community was the Air Force. It was the air force who was always under fire for covering up UFO’s and it was the Air Force’s Project Blue Book that failed to nullify the entire UFO mythology. Lots could be added to this story, but let me add just one thing. Col. John Alexander has now confirmed that a high level source confirmed to him that MJ-12 did exist and that the 12 names on the MJ-12 document released in 1987 by Timothy Good in the UK and Moore, Shandera, and Friedman in the USA are correct. Bill Moore destroyed his name for nothing. All you have is your name. He is a liar. People do not trust the government because of games and lies. 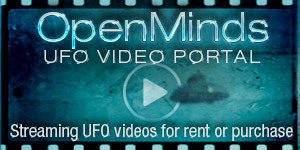 There are so really good UFO cases out there that cannot be explained. Hopefully he tries to regain his honor by finding answers to this. It seems to me that this disinformation campaign’s origin is Russian and that this was a KGB sourced campaign that the US let run rampant. Something the wealthy oligarchs and pre-eminent wealthy capitalists could work together on to cover up the truth. 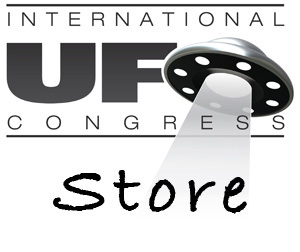 So where are we now in UFOlogy? We know they are real. We know we are inferior to their intelligence and powerless against their technology. If Benowitz truly was a nutcase, why bother trying to “destroy” him? Why not just let him continue to rant and rave? My feeling is that, as with Phil Schneider, Benowitz actually discovered something the government didn’t want to be made credibly public. So, first, feed them a ton of B.S. so people can’t tell the Truth from the hoax and then “eliminate” them. Send them to the nuthouse… or the morgue. How may I find Jamie Shandera who was a very close friend and artistic director/writer for my mon’s twin’s television career? I pray he is still with us.